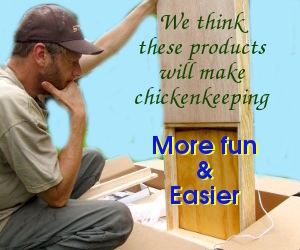 In addition to our blog, we compile the best of our chickenkeeping wisdom into low-cost ebooks. If you’re new to poultry, I recommend starting with a free download of The Working Chicken, then branching out into my longer ebooks further down the page. Get ready for your new flock in thirty minutes or less! What kind of chickens should I get? Which color eggs are best? How many chickens should I get? Should I add a rooster to my flock? Where should I get my chickens? She’s so cute! Can I name her? When should I kill my chickens? What infrastructure do I need to make my chickens happy? Should my chickens have a tractor, a coop, or be free range? How much space do my chickens need? How do I manage my working flock? What is the chicken’s place in the farm ecosystem? Now including a bonus picture book to inspire the next generation of chicken lovers! Save a buck when you buy direct! Do you want to enjoy healthy eggs and meat from chickens raised on pasture? Permaculture Chicken: Pasture Basics starts at the beginning to help you design the best pasturing setup for your flock and for your homestead. Great grazing for chickens won’t be found in the perfect pasture for sheep or cows — you need to tweak your design to match a chicken’s unique behavior and stomach. Included in this volume are an explanation of chicken digestion and behavior, pasture specifics like size and shape, a rundown on which traditional pasture plants chickens enjoy, tips on maximizing plant growth during rotation, and an explanation of how to establish new pastures and maintain existing grazing areas. Cut your feed costs by pasturing your chickens! The Permaculture Chicken: Incubation Handbook walks beginners through perfecting the incubating and hatching process so they can enjoy the exhilaration of the hatch without the angst of dead chicks. 92 full color photos bring incubation to life, while charts, diagrams, and tables provide the hard data you need to accomplish a hatch rate of 85% or more. The basics of incubation: time, temperature, humidity, turning, etc. Save 50 cents when you buy direct! Do you want your chicken habit to pay for itself? Many backyard chicken keepers are surprised to learn that they spend more on store-bought feed than they would have paid for eggs and meat at the grocery store. If you’re on a budget and want your foray into poultry to save money, not lose money, your first step should be to select thrifty chicken breeds. The best breed for the cost-conscious homesteader will be a dual-purpose chicken that forages well, doesn’t cost much to feed, stands up well to predators and weather, and lays copiously in the winter. In addition, Thrifty Chicken Breeds covers a variety of other factors homesteaders should look for when choosing new birds, then explains why a dozen common breeds do or don’t make the cut. This new installment in the popular Permaculture Chicken series helps make backyard chicken keeping cheaper, sustainable, less smelly, and more fun. Join the thousands of readers who have used Hess’s tips to turn chickens into a frugal part of their permaculture homesteads!